I love all the miniature pumpkins and fancy gourds available this time of year. Instead of a pile of organic squash that start to smell after a couple weeks indoors, I created a craftier version to decorate my house with. 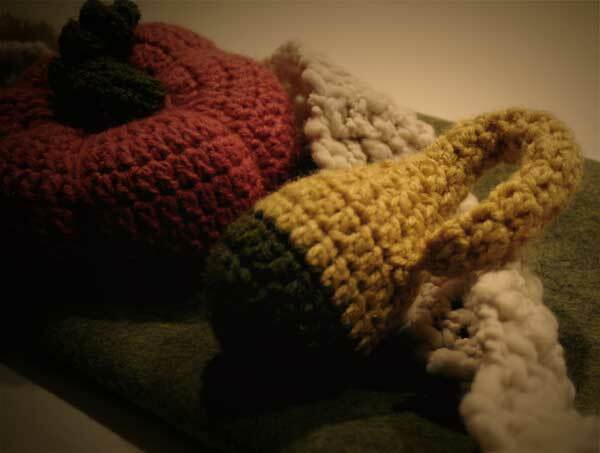 I started each piece by crocheting a flat circle by doubling my stitches each time around, increasing by fewer and fewer stitches until my pumpkin was about halfway done. I then started decreasing my stitch count, creating a flattened sphere shape. I stuffed and finished the pumpkin shape, molded ridges and finished each one with a stem and a curly vine. For the gourds, I made the shape more oblong (switching yarns halfway through) and continued to crochet a long tube for the neck at the end of the piece. They’re pretty easy to figure out, but if you’re not feeling ambitious, pumpkins are available here. 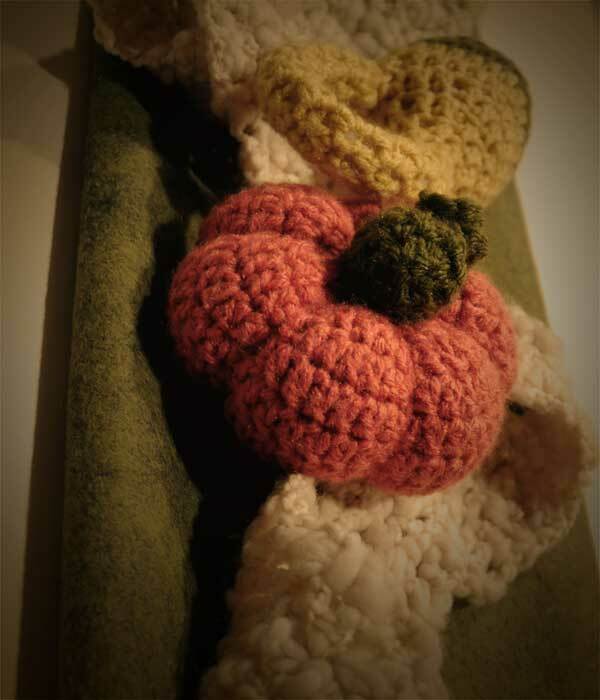 I arranged three pumpkins and two gourds on top of a runner made of felt, swirled a chunky cream scarf along the whole length and voila!